No matter how often I try to emphasize a certain value through verbal means to my monkies, they somehow tend to retain the message better when they read it for themselves through a book. Or even better yet, have you ever had your child ask you, "Erm, what is empathy?" or "What does tolerance mean?" So now, I play smart. I conserve saliva (and save on the exasperation too) by going on a hunt for good children's books that focuses on explaining AND imparting good core values, like empathy, integrity and tolerance. So it was a god-send when Ethos Books sent me a copy of their latest book for kids - BLEAGH! I guess the sub-title says it all. Though I must say both Ash & Ayd were inevitably taken in by the name of the book, which they derived great joy in exclaiming 'BLEH! BLEH! BLEH!' throughout the course of the book. 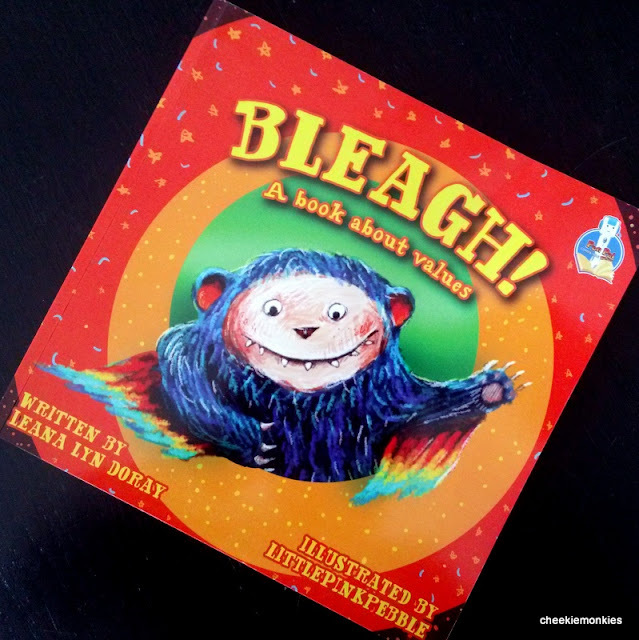 The story is all about BLEAGH, a colourful friendly monster who goes to school for the first time. 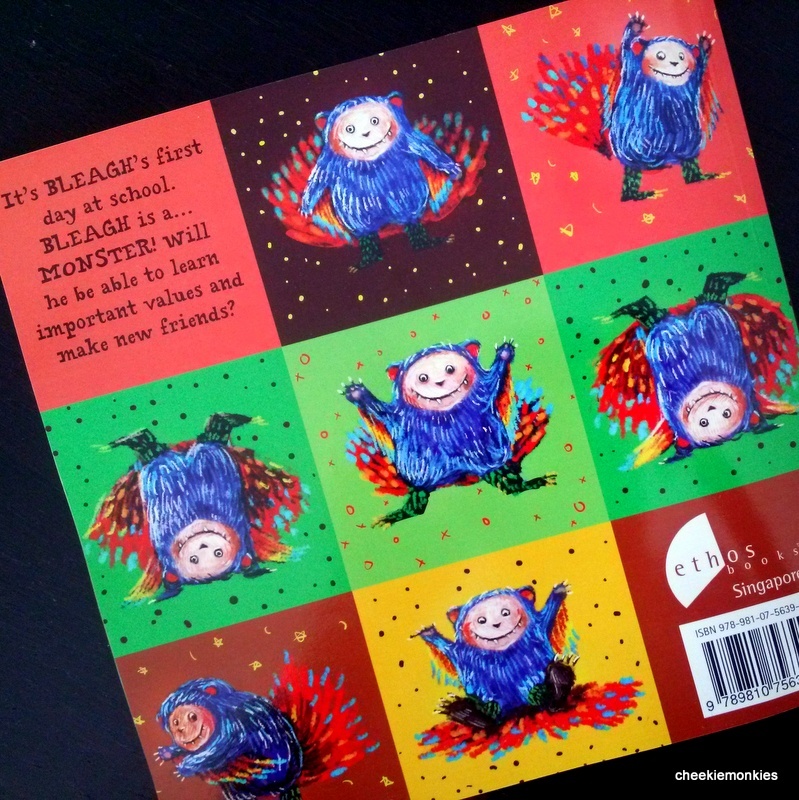 He wants to make friends but things are not so easy when you are a monster.Through interacting with his classmates and teacher, BLEAGH learns to develop important values and ends the day with new friends. I loved how the book weaved in the importance of six values - empathy, tolerance, creativity, cooperation, appreciation and integrity - into the story. And best of all, the scenarios in the book make it much easier for me to explain the meaning of the values to the boys! For best results, I would recommend parents enjoy this book together with their kids and in turn, kids will definitely enjoy the bonding time spent. In all, BLEAGH! presents a set of fine mini-stories about values within a story, and the colourful illustrations and virtues extolled will no doubt please parents seeking to instill values in the very young.